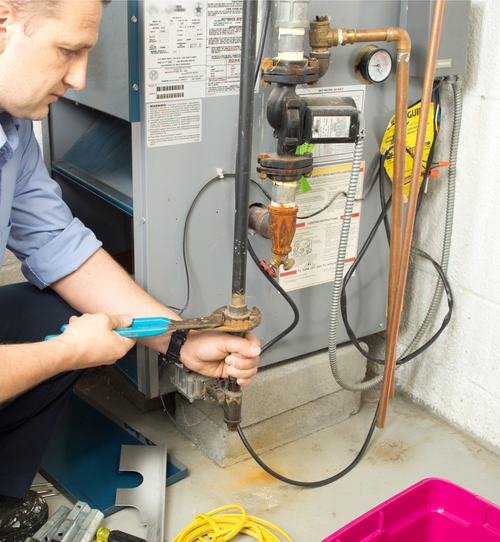 Should I Repair or Replace My Heating and Cooling Equipment? Your furnace and air conditioning is like any machine - an old car, washer or dryer - over time you can expect some degradation - at what point do you measure the repair costs vs. replacement? When making a decision to repair or replace your furnace, you can rely on our service experts here in Canton, OH at Forquer Heating & Air Conditioning. While we won't know if your equipment needs repaired or replaced over a phone call, we can help determine what your best options are after a home visit. On average, the life of a gas-fired furnace in Northeast Ohio is 20 years and the average lifespan of an air conditioner is about 15 years. If we come out and you're looking at an expensive repair on an old piece of equipment that's not in very good shape, it wouldn't be a very good investment to repair the unit and it may be time to think about a replacement. We like to give you your options with an educated viewpoint on what your equipment really looks like - then let you make the decision. What Are My Options if I need a Furnace or Air Conditioning Replacement? If you determine that a new piece of equipment is the best option, Forquer Heating & Air Conditioning has some great options for you. We sell Armstrong equipment and we have furnaces with efficiencies from 80% to 97%. On the air conditioning side of things, our equipment starts at a 13 SEER and go all the way up to 18 SEER. (Find out what a SEER rating is by clicking here.) We have a wide selection of different equipment and efficiencies for what would work best for you and your situation. Avoid any costly failures with your heating and cooling systems by calling Forquer Heating & Air Conditioning. Give us a call, we'll come out inspect your products and give you the best options for getting your home back to a normal temperature this year! Does Your Restaurant or Office Need a Dehumidifier? Don't Forget About Preventative Maintenance for Your Rented Equipment!